The announcement of the central bank and government of Thailand to impose tightened financial regulations towards startups and platforms in its fintech industry prompted serious concerns over the Thai fintech ecosystem from local investors and entrepreneurs. 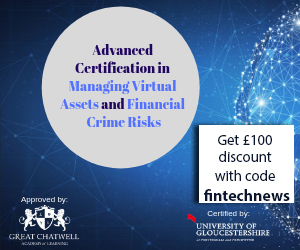 In contempt of the government’s strict regulatory frameworks, the fintech market remains the second largest industry in the country, due to the emergence of truly innovative and popular fintech startups and platforms over the past few years. The fintech industry in Thailand has rapidly grown since 2014, with startups including Piggipo, StockRadars, PeakEngine, Flowaccount, and Finnomena securing major venture capital investments and partnerships. 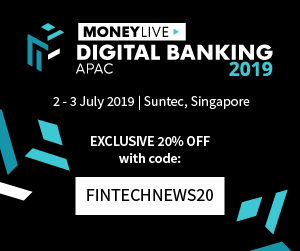 Local banks such as the Siam Commercial Bank launched various fintech-focused investment programs and VC funds to assist entrepreneurs in their early stages to lead the local fintech market. Here are five innovative startups in Thailand that maintain substantial percentage of the industry’s market share. 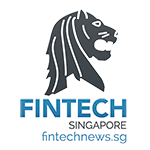 Finnomena and Piggipo are the two latest fintech startups to secure major VC investment deals from reputable global investors including 500 Startups and Golden Gate Venture. The two startups both successfully raised large funding rounds from Dave McClure-led early-stage venture fund and seed accelerator 500 Startups, as a part of the investment firm’s fintech-focused program in Thailand. 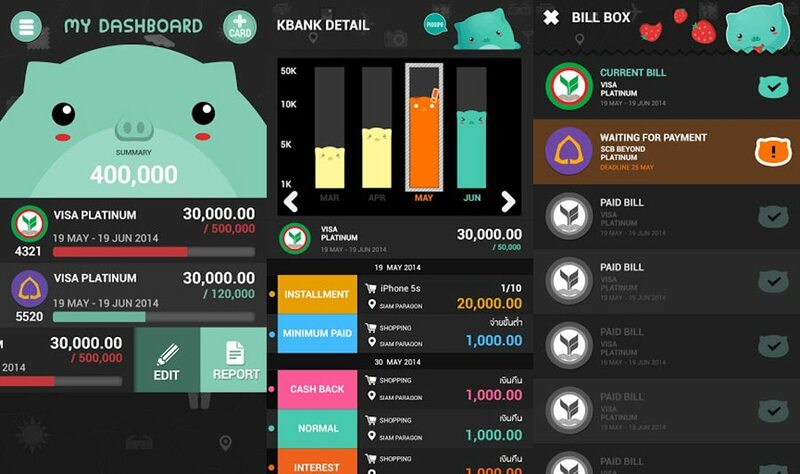 Piggipo is a popular finance management application that allows users to manage credit cards and budget in one unified platform. Since its launch in 2014, Piggipo has been considered one of the top mobile applications in all categories and have been awarded in various competitions and events for its smart mobile-based application that autonomously evaluates user’s spending habits and creates advance payment strategies. In 2014, Piggipo had around 35,000 users in its Android mobile application. “We have more than 35,000 users on App Store and, on Monday, Piggipo will be introduced on Android,” said Supichaya Surapunthu in 2014, CEO of Neversitup, the team which developed Piggipo. Currently, Piggipo has nearly 100,000 downloads on the Google Play Store, which represents a subtantially large userbase considering the relatively small fintech market in Thailand. Finnomena offers a completely different service compared to its competitor Piggipo. 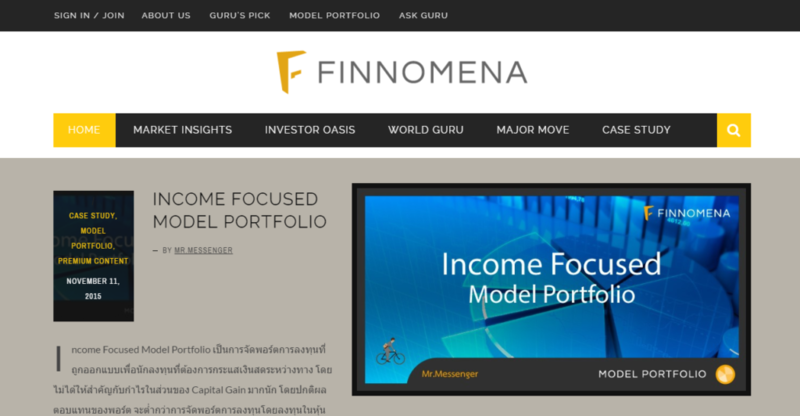 Initially, the Finnomena app was launched for users that are planning to make smart retirement investments. However, the startup began to garner mainstream attraction when university students started to use the Finnomena application to make smart investments on a wide range of assets including mutual funds, real estate properties, and even stocks of public companies. “We basically provide independent financial services to the mass market to tap trillions of baht in savings accounts that should be converted into funds for listed companies to expand their productive capacities and businesses to boost economic growth,” explained Finnomena CEO Pongthorn Thawonthanakul. “We work with banks and brokerage houses to tap this huge market by providing knowledge free of charge. Our earnings come from commission fees from brokerage houses, not the clients, as we have access to multiple brokers to facilitate our independent financial service,” he added. While Finnomena and Piggipo have launched and distributed the most innovative and popular consumer-focused fintech applications, Flow Account and StockRadars have introduced advanced enterprise and high profile investor-focused applications. Flow Account is a cloud-based accounting system that is used widely the country’s local merchants and businesses. The startups is one of the very few to introduce a smart financial management systems for businesses to utilize. 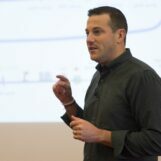 “Flow Account gives you the simple tools to help organize your basic invoicing and accounting needs such as creating a quotation, billing note, invoice, and receipt,” states Flow Account Co-founder Kridsada Chutinaton. The entire purpose of the Flow Account platform is to offer a simplistic and minimalistic user-friendly interface for merchants so that businesses can easily track their expenses, sales, and other financial components of their operations. “It was a real hassle to have to use traditional accounting software. If a client wanted a quotation, back then we literally had to run back to the office from wherever we were to create, print, and scan it, then email it. Also, the software was meant for accountants to use. It was way too difficult for us. So we set off to build our own,” Chuitinaton added. 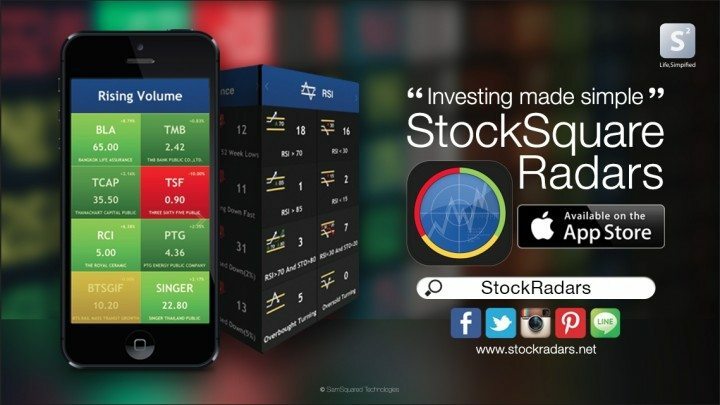 StockRaders in comparison, is a professional trading platform that allows high profile investors to purchase a diverse portfolio of stocks from Asia’s stock markets. 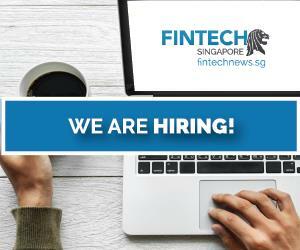 The startup secured around US$800,000 at a $10 million valuation, which easily makes the startup the most valuable fintech firm in the local industry. 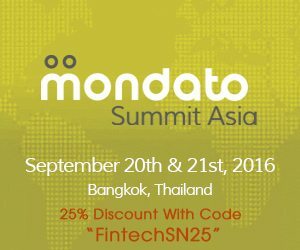 Apart from the innovative and unique fintech startups, Thailand also hosts several major fintech conferences and events like the Mondato Summit Asia: Emerging Asia: The Next Generation of Digital Finance & Commerce. this September 20 & 21 in Bangkok. The Mondato Summit Asia for instance, demonstrates the use cases of exciting emerging fintech services and products to a wide range of entrepreneurs, startups, and investors, allowing both Thai fintech startups and international entrepreneurs to communicate and understand global fintech trends.